Magic Lounge are excited to announce thier brand new themed night in Magic Lounge Club! Now That's what I call Magic! 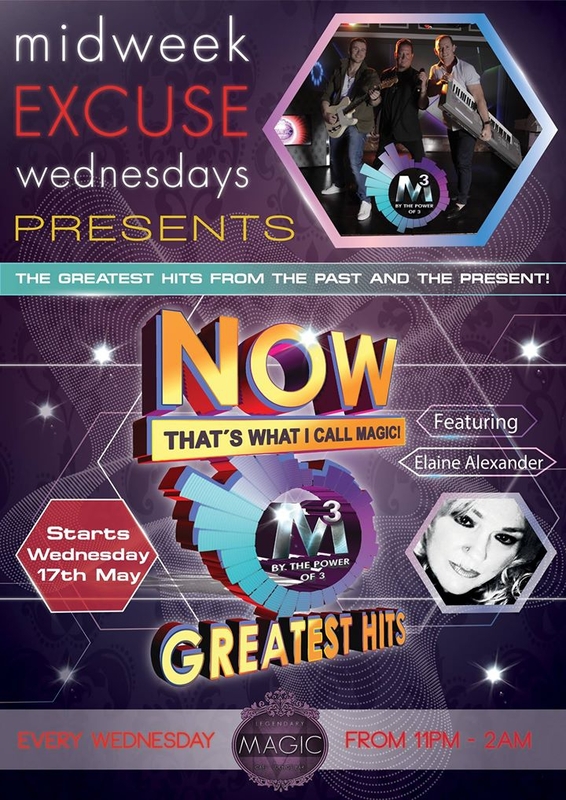 Join us on May 17th for an unforgettable night with our band M3 and Elaine Alexander!